In 2010, Professor Kevin Allred created the university course "Politicizing Beyonc " to both wide acclaim and controversy. 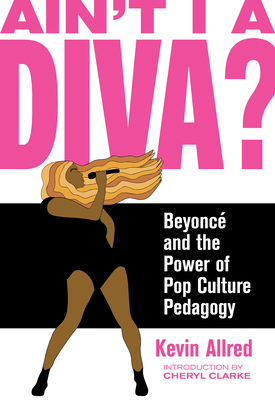 He outlines his pedagogical philosophy in Ain't I a Diva?, exploring what it means to build a syllabus around a celebrity. Topics range from a capitalist critique of "Run the World (Girls)" to the politics of self-care found in "Flawless"; Beyonc 's art is read alongside black feminist thinkers including Kimberl Crenshaw, Octavia Butler, and Sojourner Truth. Combining analysis with classroom anecdotes, Allred attests that pop culture is so much more than a guilty pleasure, it's an access point--for education, entertainment, critical inquiry, and politics. Kevin Allred is a writer, speaker, and educator based in Brooklyn. HIs writing has been featured in Salon, INTO, NBC News, and other publications. Poet, critic, and activist Cheryl Clarke was born in Washington, DC. She earned her BA from Howard University and her MA and PhD from Rutgers University. Clarke is the author of five collections of poetry: Narratives: Poems in the Tradition of Black Women (1983), Living as a Lesbian (1986), Humid Pitch (1989), Experimental Love (1993), and By My Precise Haircut (2016), which won a Hilary Tham Capital Competition. She wrote the critical study "After Mecca" Women Poets and the Black Arts Movement (2005), and a volume collecting her poetry and prose was published as The Days of Good Looks: Prose and Poetry of Cheryl Clarke, 1980-2005 (2006). Many of Clarke's most influential essays, including "Lesbianism: an Act of Resistance" and "The Failure to Transform: Homophobia in the Black Community," first appeared in landmark publications such as This Bridge Called My Back: Writings by Radical Women of Color (1981) and Home Girls: A Black Feminist Anthology (1983). Clarke was an influential administrator and teacher at Rutgers for more than 40 years. She founded the Office of Diverse Community Affairs and Lesbian-Gay Concerns, which became the Office of Social Justice Education and LGBT Communities, and retired as the Livingstone Dean of Students in 2013. For her service to LGBTQ communities, Clarke received a David Kessler Award. She currently lives in Hobart, New York, where she owns and operates Blenheim Hill Books with her partner, Barbara J. Balliet.